For the sake of continuous and secure operation, nowadays it is essential for banks to have their professional energy management system installed. The primary task of such systems is to guarantee secure power supply; therefore the application of high quality devices and softwares is a must. In the case of bank centers the availability and right operation of servers that control bank transactions are of especial importance. Thus, multiple redundant solutions have to be applied in the case of intervening elements, communication network and softwares. So, power supply has to be developed from multiple directions on medium voltage side. In the case of haphazard external breaks of incoming, diesel generators and UPSs are needed to be applied. 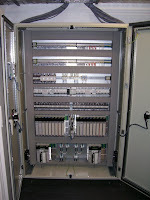 Of course, redundant medium voltage distribution board require redundant low voltage electrical network to be built. 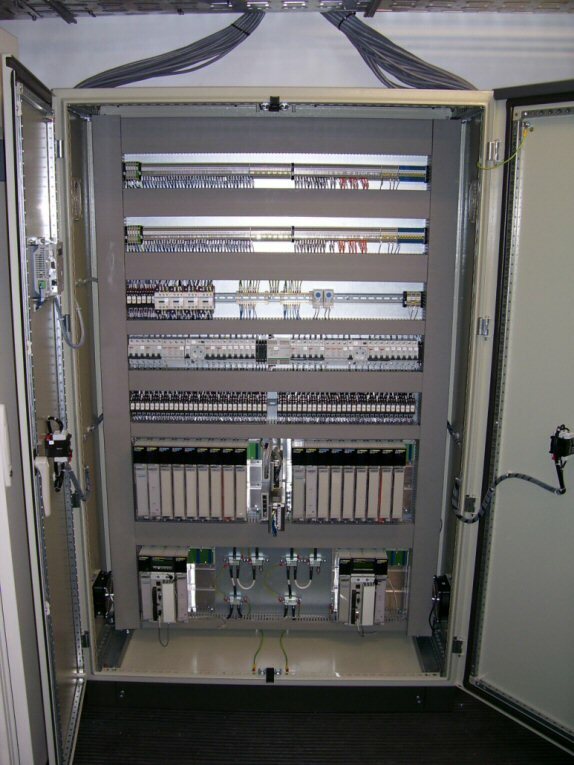 For the operation and control of circuit breakers on medium and low voltage network it is necessary to apply redundant PLC (e.g. : Hot-standby Quantum PLC). Its task is to configure connections in accordance with input conditions ensuring continuous energy supply. 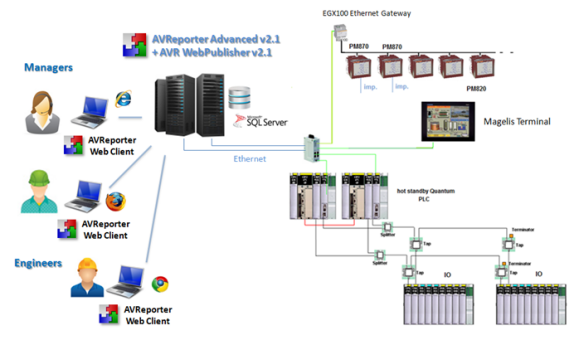 Above this system it is advised to install a redundant server which the control system can be installed on. Here you can watch our online trainings and tours!